Our vegan wine pairing dinner returns! 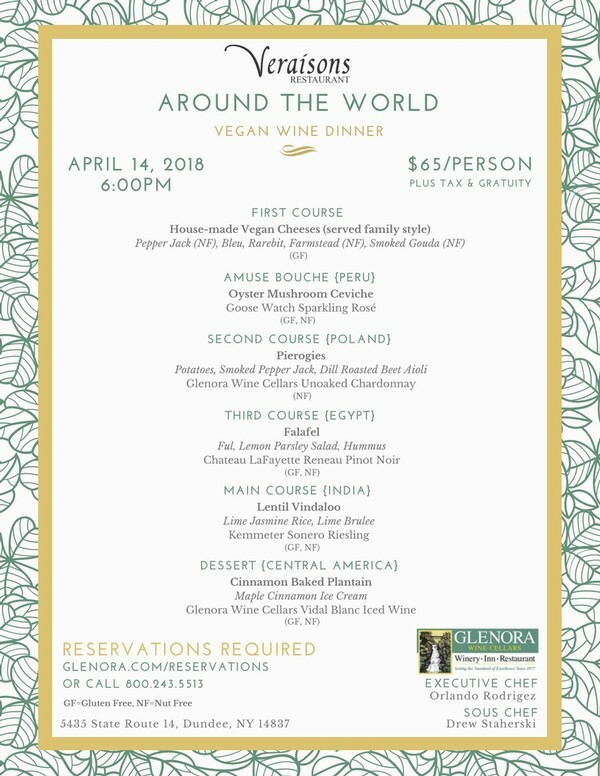 Join us for a multi-course dinner featuring 100% vegan dishes inspired by cuisine from around the world, prepared by Executive Chef Orlando Rodriguez and Sous Chef Drew Staherski. Start with a family style sampling of our house-made vegan cheeses followed by dishes from Peru, Poland, India, Egypt, and Central America, each paired with a vegan wine. Call 800.243.5513 or book your table online!